COURSE: Out and back rural 15 miles on Anderson Road and Montezuma Hills Road., same as 2012. Two right turns, before turn around and two left turns before finish http://www.mapmyride.com/routes/view/79181218. Some rolling hills and winds. Open to sparse traffic both directions. Start & Finish within eyesight of registration/parking. 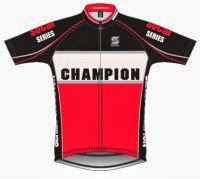 CATEGORIES: Only two person teams that are ABR or OBRA license holders are eligible for the 2 man TTT championship. All other categories do not require a racing license, just proof of age. CHAMPIONSHIP TTT CATEGORIES: Winners eligible to order TTT jersey, medals to top 3 two person teams, and every pre-registered entrant receives TTT socks. The teams: Elite Men, 40+, 50+, 60+ men, Elite Women, 40+ Women. 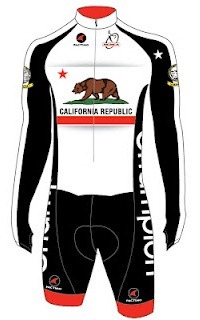 Entry fee of $35 per rider includes ABR license fee and custom cycling socks. OTHER CATEGORIES: Entry fee is $27 per rider whether riding ITT or with a partner. Four man TTT is $22 per rider. Each rider registers self. ABR sanctioned, no racing license is needed, but ABR rules for TT apply. Day of entry available registration for additional $10 except the 4 person open TTT. Opens at 7:00 am, closes 20 minutes before next wave. 1stChampionship categories--8:00; 2nd ITT categories--8:45; 3rd Other TTTs--9:30 am. DIRECTIONS: From I-5, take Hwy 12 west 20 miles, through Rio Vista and turn left onto Currie Road. From I-80, take Hwy 12 east 20 miles and turn right onto Currie road. From Davis, Take Hwy 113 south to Hwy 12 and turn left. Go two miles to Currie Road and turn right. From Antioch, take Hwy 160 for 15 miles and turn left onto Hwy 12. Go west 6 miles to Currie Road, and turn left. Go two miles to Emigh, turn left, and follow signs to parking. Porta potties @ Anderson and Emigh. Park in southeast corner lot. This is PRIVATE PROPERTY. Be Courteous! SPECIAL NOTES: Parking and Registration is on PRIVATE PROPERTY! Please be courteous! Leave no trash!